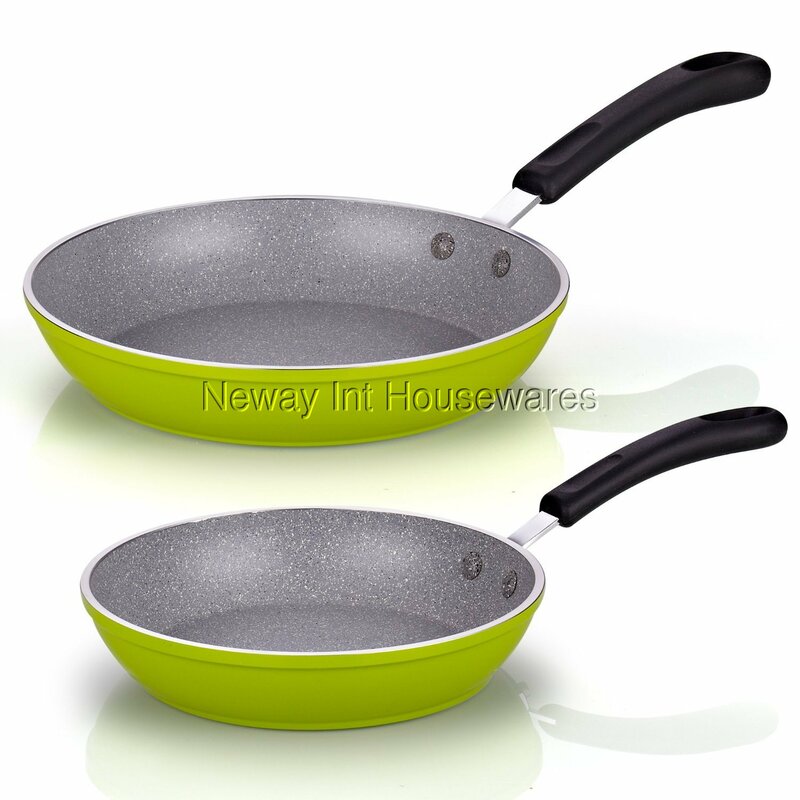 ​Cook N Home 8-inch and 10-inch Heavy Gauge Nonstick Fry Pan Sauté Skillet, 2-Piece Set, Green includes: 8 in. pan with 1.7 in. height and 10 in. pan with 2 in. height. Made of thick gauge aluminum that provides even heat conduction and prevents hot spots. Nonstick coating makes cleaning easy and is cadmium and lead free. Handles are comfortable and stay cool during cooking. Induction compatible. Works on gas, electric, glass, ceramic, etc. Oven safe to 375F. Dishwasher safe. Oven safe to 375F. Dishwasher safe.